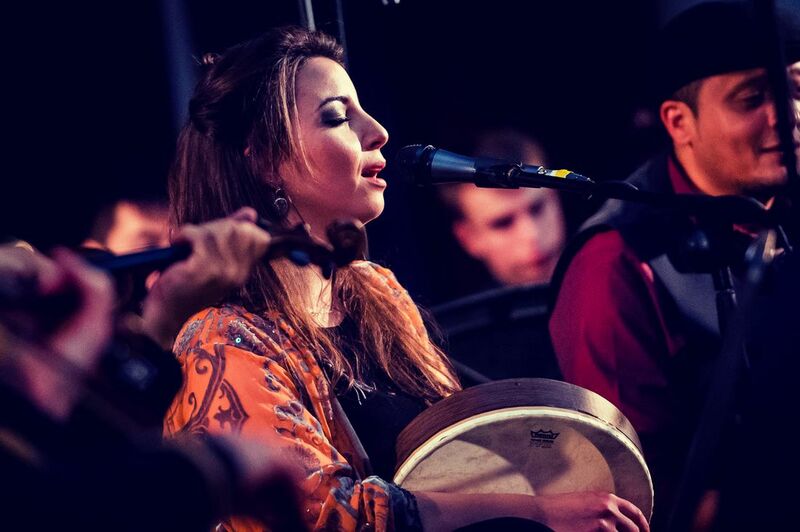 Yara has been a singer in pioneering Oxford Maqam ensemble since 2009, performing both in the UK and internationally. Most of her performances are of the Egyptian wasla tradition of the mid to late 19th century, singing taqtuqa, muwashshah and dawr forms by Egyptian composers including Zakariyya Ahmad, Daoud Hosni, Abdel Rahim al-Masloub and Mohammed Osman. Over the years, Yara has received training and worked with world renowned specialists Tarik Beshir, Dr Ahmad Al-Salhi, Prof Martin Stokes, Dr Ahmad Mukhtar, Issa Boulos and Wael Abu Bakr. Following her research into Munira Al-Mahdiyya (c.1885-1965), an Egyptian commercial recording and musical theatre star, Yara and Oxford Maqam recently performed and recorded Munira's rarely heard songs Sobort w Nolt and Esma' Aghani Al-Mahdiyya. Reviving songs unheard for many decades is a special interest of the ensemble. For example, in 2016 they recorded the dawr Men Yawm ‘Ereft Al-Hob, of which there were just three prior recordings. This song features on their album 'The Wax Cylinder Recordings'. Arab musicians of the mid 20th century have also had a significant influence on Yara living in the UK. Oxford Maqam has performed some of the era's classics including Riyad Al-Sunbati's Lahn el Wafa and Mohamed Abdel Wahab's Majnun Layla with Oxford Maqam's Big Band. Yara is also interested in Palestinian musical heritage and has performed in London and Dublin, Ireland with multi-instrumentalist and sound artist Kareem Samara. She has a special interest in pre-1948 music, inspired by the work of researcher and composer Issa Boulos. Pioneering Oxford Maqam comprises vocalists and musicians who are renowned experts in their field of Egyptian music and song of the 19th and 20th centuries. They first met over ten years ago, and now regularly sell out venues both at home and internationally, taking their album tour from London's Kings Place to the Kuwait Opera House. Their self-made album, described as ‘revolutionary’ by Songlines magazine, used recording techniques from over one hundred years ago. Offering fresh and entertaining recreations, they have captured the imaginations of UK, Europe and Middle Eastern audiences alike. Whilst the Arabic music scene is filled with innovators of popular music, Oxford Maqam are innovators of classical Arabic music. Their recovery and revival of heritage works is a highly original process, and their concerts offer a rare opportunity to experience live renditions of a music steeped in Arab heritage.